Every good story has a conflict and every good conflict has a hero. The biggest environmental story in Canadian history has a surfeit of both. From the print issue of Mountain Life Annual. Humans will always need heroes. They conquer our fears, step forward when others shrink back, wade in like shining knights of possibility. From Odysseus to Luke Skywalker to Po the Kung-Fu Panda, whether battling dragons or tricking the Seagull Spirit to release the sun from a cedar box, throughout history and across cultures we have made legends of those—real or imaginary—who rose to the occasion. 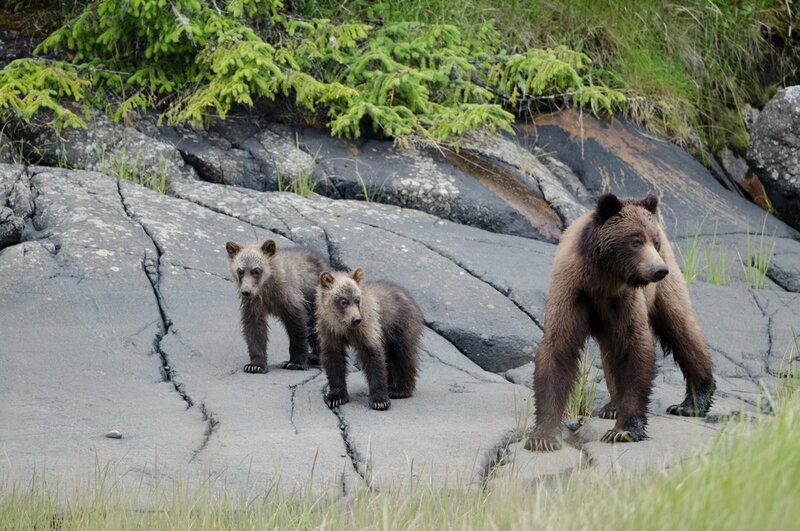 A grizzly mother and cubs patrol the Great Bear coast. Photo by Ilja Herb. Click to enlarge. Today’s heroes don’t fight dragons (they can’t even figure out how to play an entire hockey season) and there are no more conflicts as straightforward as, say, World War II. We don’t have masked crusaders keeping our streets safe, nor caped avengers protecting us from aliens, villains or deranged geniuses. There’s no need for heroism in a perfect world, of course, nor in one of absolute evil. But human life exists in an equilibrium between the two, and when that balance shifts, when the forces of evil sink in an extra claw and begin to drag us all towards the darkness… that’s when heroes arise. Norm Hann sizes up a prominent resident. Photo by Nicolas Teichrob / STAND Film. Click to enlarge. These days, with evil lurking everywhere from conservative politics and conscienceless executives to your mother’s idling SUV or the styrofoam box your lunch came in, the next wave of heroes will be those that can save us from ourselves. Containing huge deposits of bitumen, an extremely heavy crude oil, the Athabasca Tar Sands of northern Alberta support one of the largest industrial projects on the planet. Enormous amounts of water and energy are required to extract bitumen from its sandy matrix. Belching smoke and steam obscure the stars and toxic tailing ponds dot the landscape. While it provides for thousands of jobs, the tar sands is also the country’s single largest generator of greenhouse gases and the primary reason Canada became the first nation to pull out of the Kyoto Protocol, the 1997 international treaty aimed at reducing greenhouse gas emissions. Freed from the strictures of Kyoto, tar sand lease-holds are rapidly expanding. And in lieu of a national energy strategy, there are no plans to rein things in. To capitalize on the lack of regulation, Calgary-based Enbridge Inc. has proposed a 1,177-kilometre pipeline to carry tar-sands bitumen from Bruderheim, Alberta, to the port of Kitimat on the North Coast of British Columbia. Here, the bitumen will be loaded onto supertankers—220 each year—destined for Asian markets. The Enbridge “Northern Gateway” (ENG) is actually twin pipelines, as a highly toxic natural-gas condensate must first be piped to Alberta from Kitimat in order to dilute the bitumen—which is thicker and heavier than conventional oil—for transport. Douglas Channel, a supertanker’s worst nightmare. Photo by Nicolas Teichrob / STAND Film. Enbridge claims the $6.5 billion megaproject will pump hundreds of billions of dollars into the Canadian economy over 30 years and create 3,000 temporary jobs during construction. A majority of British Columbians, however, believe the inevitability of a pipeline leak or tanker spill (calculated at 95-99 per cent for the life of the project in a recent Simon Fraser University study), and potential risk to an economy and way of life tied to salmon-bearing rivers and the coast, drastically outweighs any possible benefit. 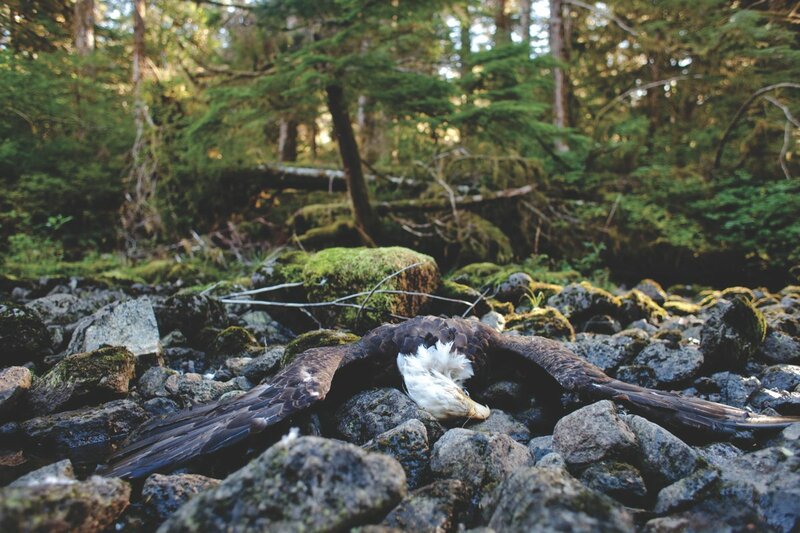 A bald eagle completes its life cycle—naturally—in British Columbia’s Great Bear Rainforest. Photo by Nicolas Teichrob / STAND Film. As information about the project seeped out, those who lived, worked or recreated along the pipeline and tanker routes realized how few in the provinces’s south or across the country were aware what was actually at stake. Anticipating that strong-arm political and economic spin (which materialized in spades) would attempt to keep people in the dark about the true risks, a few heroic citizens decided to take the task of raising awareness into their own hands—even if it meant a trip into the heart of darkness. “[The tar sands] is not a place you want to be,” says 43-year-old Vancouver-based adventure filmmaker, Frank Wolf. In August 2010, along with friend and schoolteacher Todd McGowan, Wolf embarked from Fort McMurray, hub of oil country, on a 2,400-km, self-powered adventure that would largely shadow the proposed pipelines route. 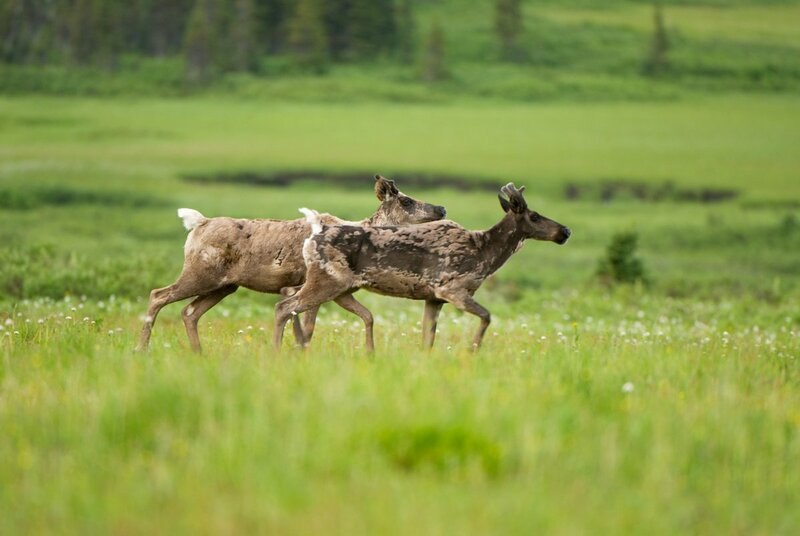 Osborne caribou, Sacred Headwaters. Photo by Paul Colangelo. GPS in hand, the pair biked, hiked, biked again, rafted and kayaked as close to the surveyed route as possible. Wolf’s subsequent film, On the Line, showcases landscapes the pipelines would traverse and the thoughts and comments of those met along the route. Kim Slater. Photo by Zack Embree. These days, B.C. is awash with heroes like Wolf and Slater: outdoorists from every corner of the province who are putting it all on the line to fight for rivers and fish, seaweed and bears, and for people they will never meet. Ali Howard swam the entire length of the Skeena River. John Olson and other Gitxsan Nation members barricaded their own treaty office for half a year. 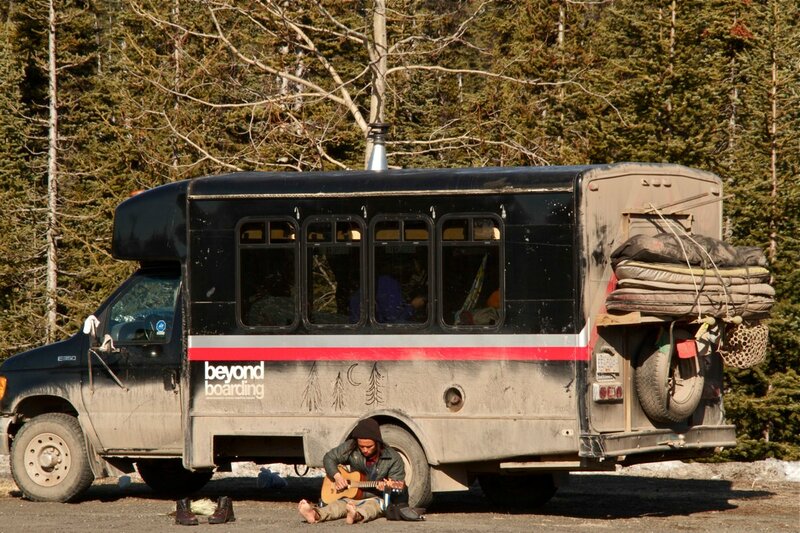 Tamo Campos embarked on a carbon-neutral surf/snowboard and speaking tour. 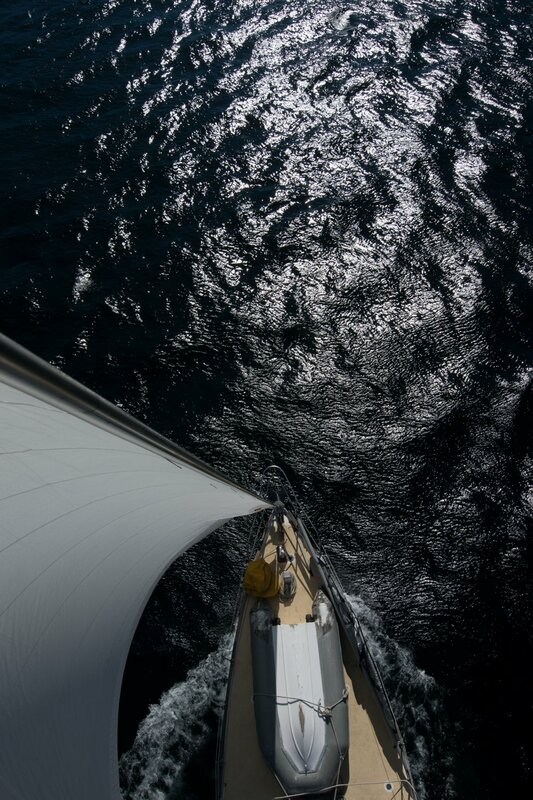 Arno Kopecky and Ilja Herb sailed the coast of the Great Bear Rainforest. And Norm Hann spent two summers stand-up paddleboarding areas that would be exposed to tanker traffic. Outside of Sik-E-Dakh in the Skeena River Valley. Click to enlarge. Photo by Zack Embree. 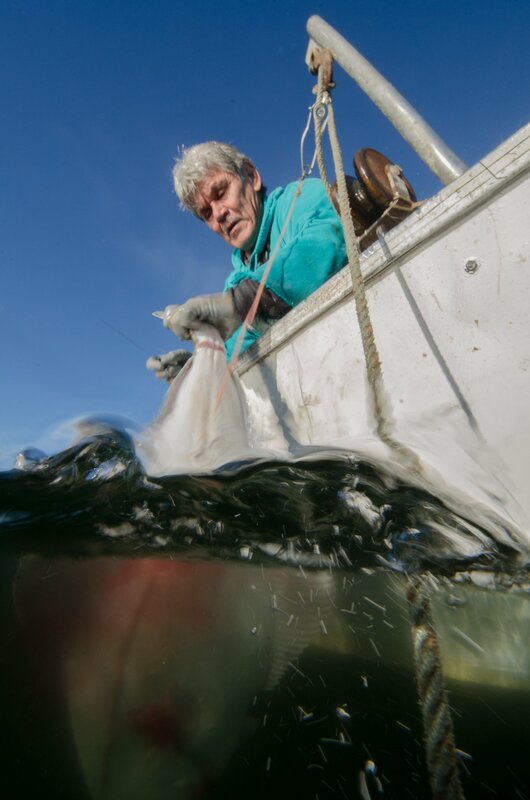 Wally Bolton hand-lines for halibut in Hartley Bay. Photo by Ilja Herb. If fouling productive rivers and pristine lands with a pipeline leak is unjustified, then exposing a rugged, unsullied coast to a tanker spill is sheer madness. Covering 70,000 sq. km on the north-central coast, the Great Bear Rainforest is home to thousands of interconnected species including B.C. icons like Pacific salmon (five species), whales, sea lions, sea otters, ancient cedars, Sitka spruce, wolves, grizzly, and the celebrated white Kermode “Spirit” bear. 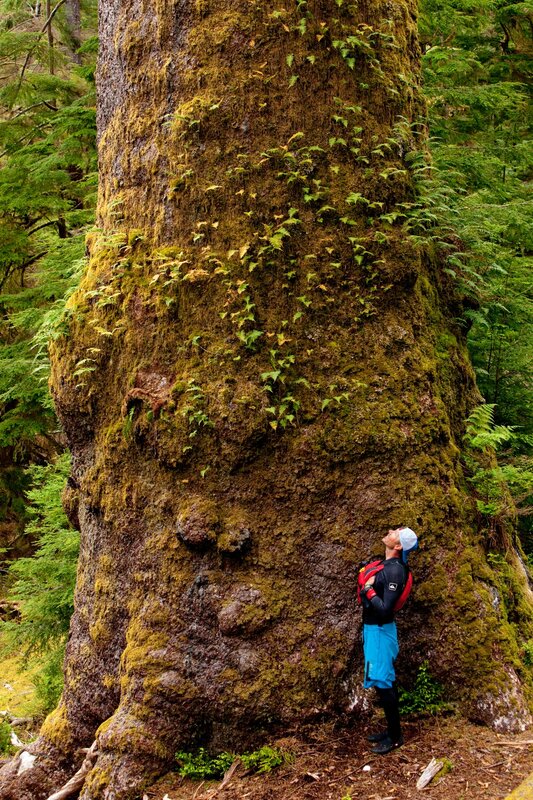 It is one of the last and largest remaining unspoiled temperate rainforests on the planet. A chum salmon makes its last stand in a spawning stream near Kitimat Village. Photo by Ilja Herb. Between 2001-2010 Enbridge reported 720 pipeline leaks which cumulatively spilled 132,715 barrels (21.3 million litres, enough to fill 488 large tanker trucks) of oil into farms, forests, wetlands and waterways across North America. Most egregious was the 20,000-barrel gusher that contaminated a 61-km stretch of Michigan’s Kalamazoo River in July 2010, for which Enbridge drew infamous ire from the U.S. government for its “Keystone Kop” response (delayed some 17 hours after alarms first sounded). According to its own feasibility study, Enbridge will push its pipeline through the Rockies at elevations of 1,200-metres and cross 773 watercourses, a staggering 660 of which are fish-bearing and include all the major salmon watersheds like the Fraser. 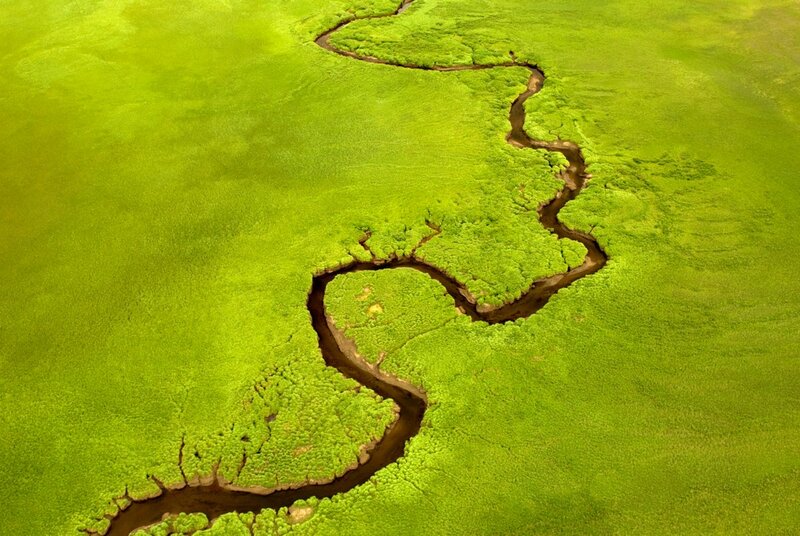 B.C.’s lush forests rely on these rivers which function as arteries that deliver nutrients (in the form of spawning salmon) to the heart of the land. The rivers are life itself here, particularly for First Nations. 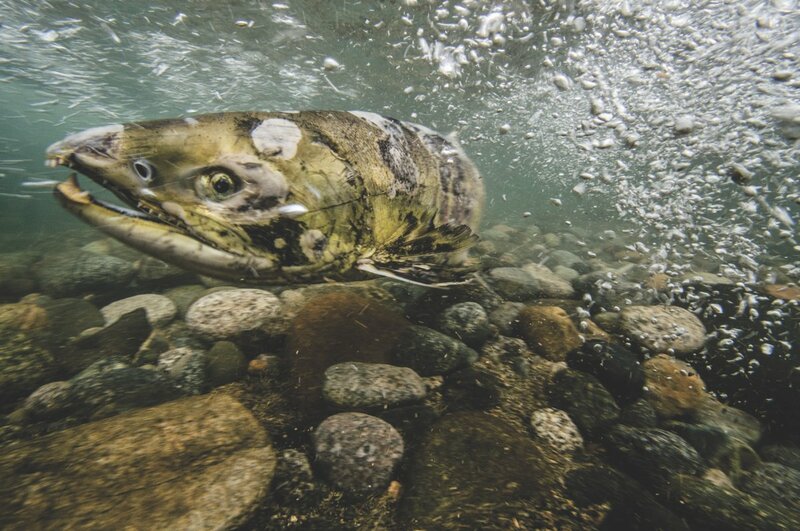 Gammer recently released Casting a Voice, a fly-fishing conservation film he hopes will highlight the true value of B.C.’s North Coast rivers and the fish they give life to. In other words, putting a pipeline like Enbridge Northern Gateway anywhere near fish-bearing streams is a terrible idea that has already proven to fail. If the pipeline transport of bitumen were somehow miraculously fool-proofed, there remains the problem of the proposed tanker route, which inspires little confidence. Pipeline spills (Kalamazoo apparently notwithstanding) can be shut down or blocked off fairly quickly. A ruptured tanker? Not so much. And then there’s Hecate Strait, the “fourth most dangerous stretch of water on the planet,” according to Environment Canada, a literal ships’ graveyard due to shallowness and strong currents. Waves higher than 20 metres have been reported—so large they leave open sections of ocean floor in their troughs. Nature, of course, has nothing on human error. In the past decade no fewer than five major vessels have collided or run aground along the route, including the Queen of the North, a 125-metre BC Ferries vessel which struck Gil Island and sank in 2006, killing two of the 103 aboard. Herb and Kopecky’s boat, Foxy, under sail. Photo by Ilja Herb. Unfortunately, as history has shown, these species are most at risk in the event of a spill. In 1989, the Exxon Valdez, one-third the size of a supertanker, dumped 250,000 barrels of oil into Alaska’s Prince William Sound only a few hundred kilometres north of the Great Bear Rainforest. Few who saw them can forget the images of destruction: sea birds choking on black ooze, otters like slimy charcoal logs. Twenty-five years later, herring, salmon and shellfish stocks have yet to recover and you can still scoop oil off beaches over 700 km from the spill’s epicentre. That “something” grew into an astounding endeavour. In May of 2010, Hann stand-up paddleboarded 400 km over a ten-day expedition that followed the proposed tanker route from Kitimat to Hecate Strait, then south to the native communities of Klemtu and Bella Bella. As captured in the film StandUp4Great Bear, Hann made connections with local youth in Bella Bella, inspiring a high-school woodworking class to build their own cedar stand-up paddleboards and discover a new way to enjoy their traditional lands. In the summer of 2012 Norm Hann returned to Hecate Strait, this time to paddle the eastern reaches of Haida Gwaii, the last area tankers will pass before hitting the open Pacific. Alone on the water for hours at a time in some of Canada’s most isolated and storied terrain, Hann covered 350 km in eight days, visiting Haida heritages sites guarded by ancient carved totems that have watched the sea for millennia. Filmmakers Nic Teichrob and Anthony Bonello documented the feat for STAND, released in May 2013, a visual masterpiece that explores connections to the coast and the risk Gateway poses to marine and land ecosystems, and those who’ve lived there since time immemorial. 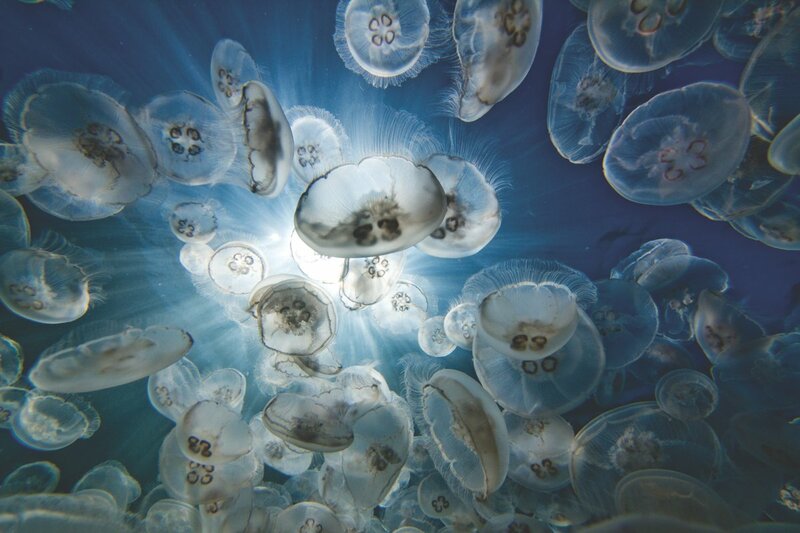 Stingless Pacific Moon Jellyfish, one of the simplest forms of life, swarm around the photographer in the Great Bear Rainforest. Photo by Nicolas Teichrob / STAND Film. Click for larger image. “The people don’t make the land. 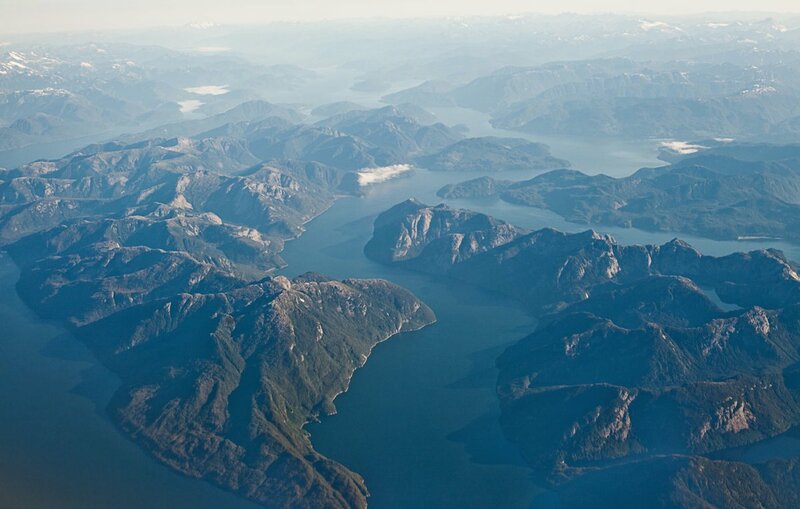 The land makes the people,” states Skeena-Bulkley Valley MP Nathan Cullen in On the Line. As such, people here can be as rough and ready, and as beautiful and inspiring, as the mountains, rivers, and forests that made them. In 2009, long before most had heard of the Enbridge Northern Gateway, Hazelton resident Ali Howard swam the length of the Skeena River to help build awareness of the so-called Sacred Headwaters—an area of northern B.C. 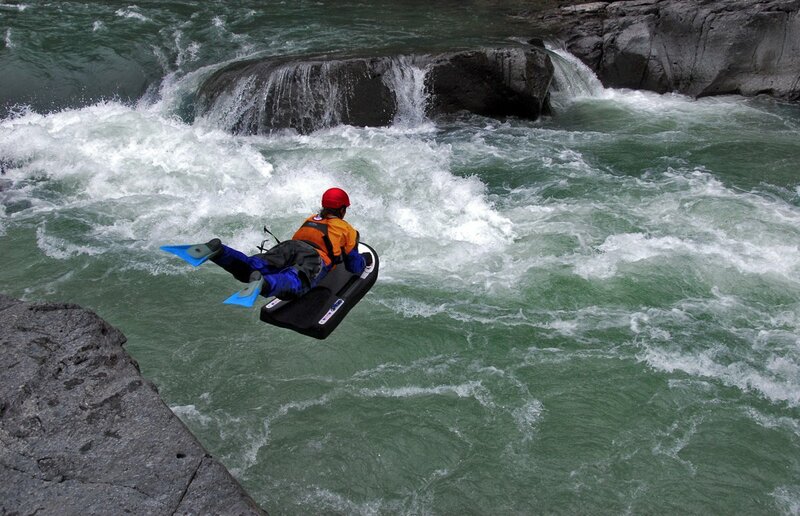 in which the Skeena, Nass and Stikine Rivers rise. 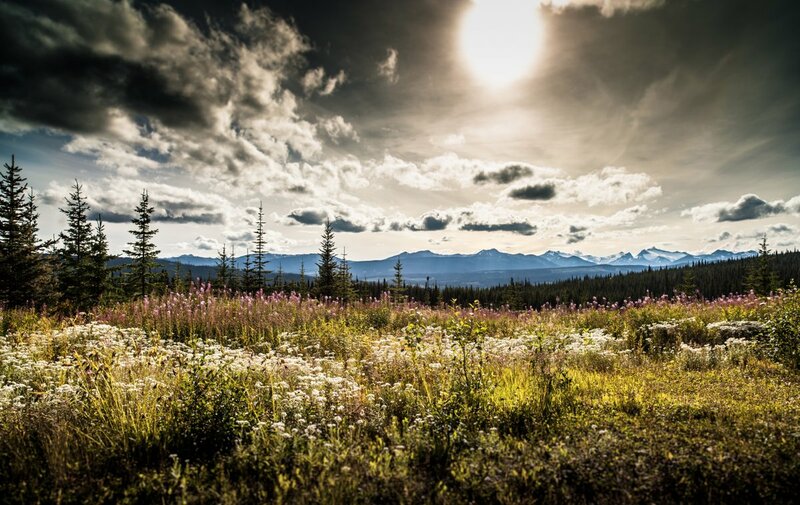 One of the province’s largest unspoiled tracts of wilderness, at the time the headwaters were under the threat of drilling for coalbed methane. Ali Howard. Photo by Brian Hunt. As she drew nearer to the Pacific, tides and winds off the ocean had driven her back upstream, but Howard pushed on. Featured in the film Awakening the Skeena, her swim garnered world attention, and with the Tahltan people fighting alongside luminaries like anthropologist Wade Davis, communities on the watershed were able to precipitate a moratorium on methane drilling in the Sacred Headwaters, announced in December 2012. Other threats, of course, still loom. The Skeena Headwaters. Photo by Paul Colangelo. Click to enlarge. Tamo Campos. Photo by Jasper Snow Rosen. Because that’s what heroes do. They rise, they fight, and they return with a gift for the rest of us. Sometimes it is the severed head of an antagonist or a magic amulet to cure all ills. In this case it might be a template for how to overcome the challenges we face in the future or something as simple as hope—hope to keep up the fight, to join with each other as family to never give up. After all, the rivers and coast of British Columbia are the lifeblood of the province and blood is thicker than oil. You hear stories about Enbridge already surveying the line out of Alberta, or clearing land for their port in Kitimat. It’s easy to cower at the size and scope of the issue as the Harper government slashes environmental protection laws and seems content to ram ENG down the throats of British Columbians. It would be easy to disguise indifference as defeat, but it won’t happen, because reason dictates that fish and forests and whales and rivers and clams are a good deal more valuable than money. And when reason fails, heroes inevitably rise. These Great Bear Rainforest heroes have their own superheroes too. Read about them here. Feet Banks was raised in northern British Columbia where his first pet was a rooster named Houdini. At age twelve his family moved to Whistler to live the dream and never left. Feet is the founding editor of Mountain Life Coast and likes to ski, fish and rock out.